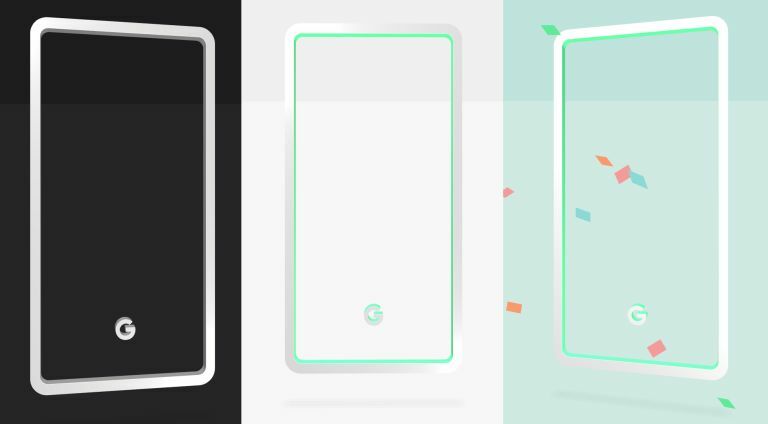 The Google Pixel 3 and Pixel 3 XL have had their colours revealed to the world early in an official tease that offers a minty refresh as one of the options. Google has teased the new colours in a dedicated interactive webpage which shows off the handset's visual tones. The outline of a phone has the Google "G" logo at the bottom, which you can click. Do this and the colour switches between the three options: black, white and mint. The finale? Confetti falling all about the handset, as if it's already been revealed. When will this big reveal happen? Google is keeping that secret still here, with a simple "Coming Soon" text displayed on the page too. Of course we know from previous releases that Google's official 9 October event is likely to reveal the Pixel 3 and Pixel 3 XL. The 5.3-inch notch-free Google Pixel 3 is expected to start at £629 while the 6.2-inch notch toting Pixel XL 3 should start at £799. Check out the full rumoured spec list right here.